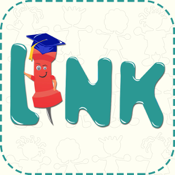 Link is an Innovative Communication Channel between parents and their child's Educational Institution. Link seeks to improve efficiency of the system through delivery of relevant and customized notifications to the parents, thereby bringing a more effective development of the child. • Calendar – View all events corresponding to the school in a calendar format with detailed descriptions. The events can be related to To-Do, Holidays, Fees Due, etc. Link works in conjunction with an online messaging system that needs to be implemented at the Education Institution. Please note: To use the application you will require an ID and password as provided by your child’s Educational Institution.